Home Square Framed Sign is a wooden box sign with a recessed background and a natural wood frame. 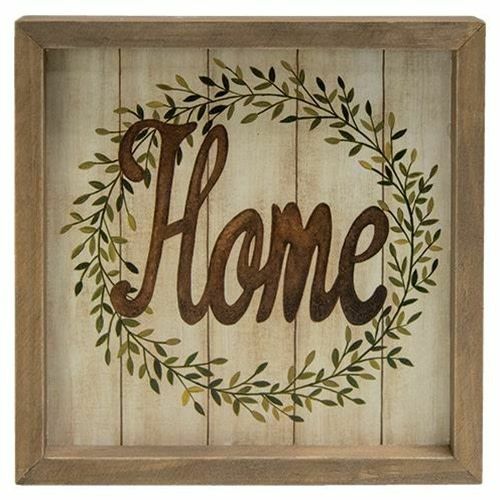 Sign features a slatted-style background with a floral wreath illustration and the word "Home" in brown script lettering. Sign can be hung on the wall or displayed freestanding. Display year-round to spruce up any room in a country home. Measures 8" square by 1.5" deep.